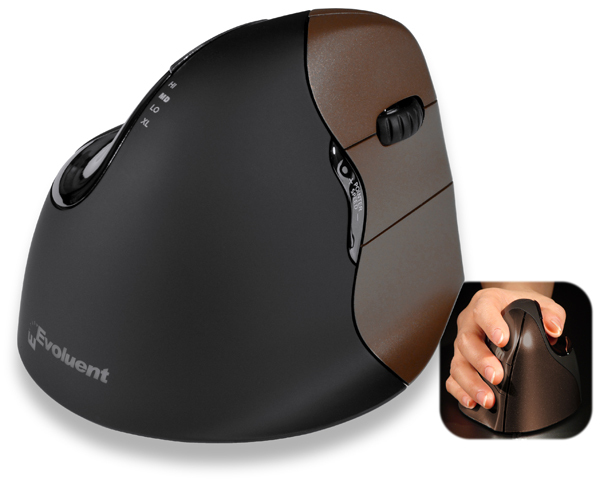 Wireless convenience and superb ergonomcis are now available for users with smaller hands. Sized at 80% of the Regular sized Right hand model, this newest addition to the Evoluent family, identified by its black housing with brown buttons, retains all of the features for which the Evoluent VerticalMouse is known and now provides small-handed users with the additional convenience of wireless connectivity. Just as not all hands are the same size, nor should mice be. 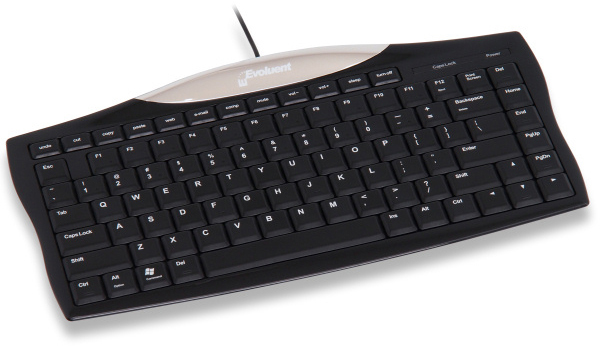 The Evoluent VerticalMouse4 is available in two sizes for Right hand users. Sizing information is available here. * Currently the Left hand VerticalMouse4 and VerticalMouse4 Bluetooth (for Mac) models are available only in the Regular size. 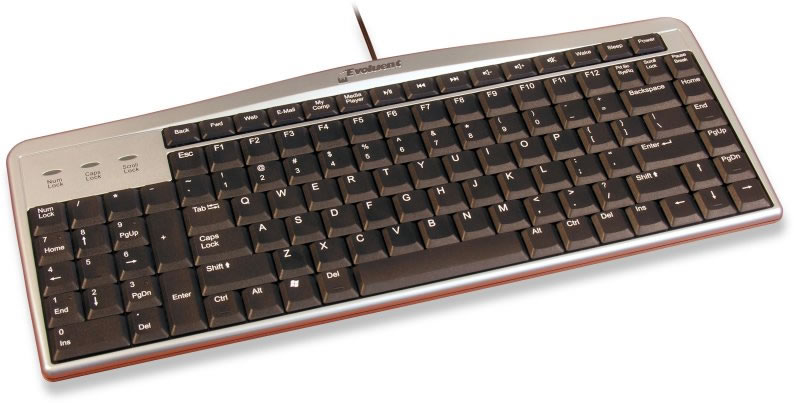 Need an ergonomic keyboard to go with your Evoluent VerticalMouse? The Keyboard that makes mice feel at home!